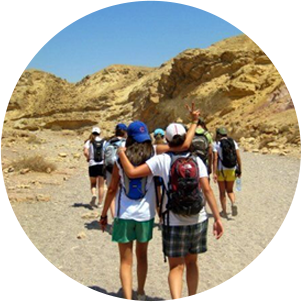 For more than 30 years, Shorashim has been a pioneer in bicultural, educations programs that bring teens on impactful and authentic journeys to Israel. Rooted in an educational approach that prioritizes offering new perspectives, creating meaningful and long-lasting experiences with Israelis and Americans, stepping out of comfort zones, community building, and self-designing your experience, our teen programs offer participants the opportunity to customize their experience, grow both individually and as a group, create everlasting bonds, and leaves them wanting more. Our programs combine outdoor challenges, cultural encounters, and opportunities to shape their experience and hear a diversity of narratives. Teens, who are filled with the confidence that anything is possible, are able to expand beyond a preconceived notion of what their experience should be and how their relationship with Israel should look through Shorashim programs. 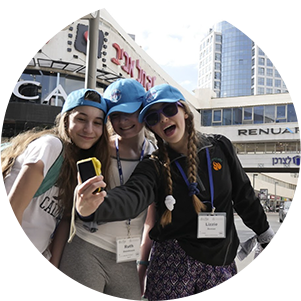 By allowing teens to choose specific tracks that connect to their interests and focusing on authentic encounters with Israelis who are the same age as them, teens are able to expand their experience to be a part of something relevant, meaningful, fun, and long-lasting. Ta'am Yisrael: A Taste of Israel is an 8th grade, tailor-made educational experience that is designed to give the participants a meaningful, intense, emotional and focused taste of the land and their heritage through a weeklong, "hands-on" journey through Israel. 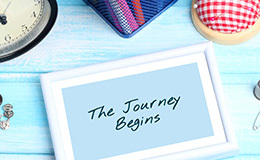 Working closely with CFJE, the itinerary is carefully constructed by our tailor-made team to provide participants with a well-rounded, versitile experience where they are able to connect with Israel in a way that makes sense to them, leaving them wanting more and ready to return to Israel in the future. 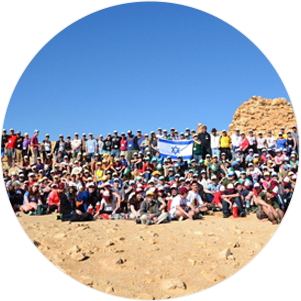 To learn more about Ta'am Yisrael and register for one of the two 2017 programs, click here.